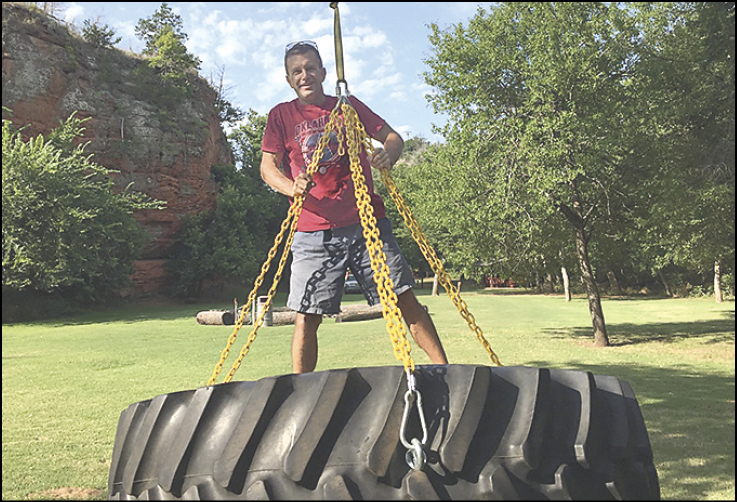 Conference Camps Director Ed Parker tests a monster tire swing, a new feature at Canyon. Campers ventured from the Red River to Colorado and Wyoming and points between this summer, through the programming and hospitality offered by Oklahoma Conference United Methodist Camps ministry. Elementary-age Lexi, who attended Growin’ in Grace, presented Camps Director Ed Parker with a gift of $5 from her own pocket money on that camp’s last day. Lexi asked that it be used to help another child go to camp. During June and July, 74 groups were welcomed at Cross Point, Egan, and Canyon Camps in Oklahoma. In addition to UM conference and district programs, the three camping facilities hosted 4-H’ers, family reunions, the Fellowship of Christian Athletes, and more. The Camps ministry also directed mobile day camps in eight Oklahoma cities. Children and youths from 235 churches of the Conference went camping this summer, according to the ministry’s records. 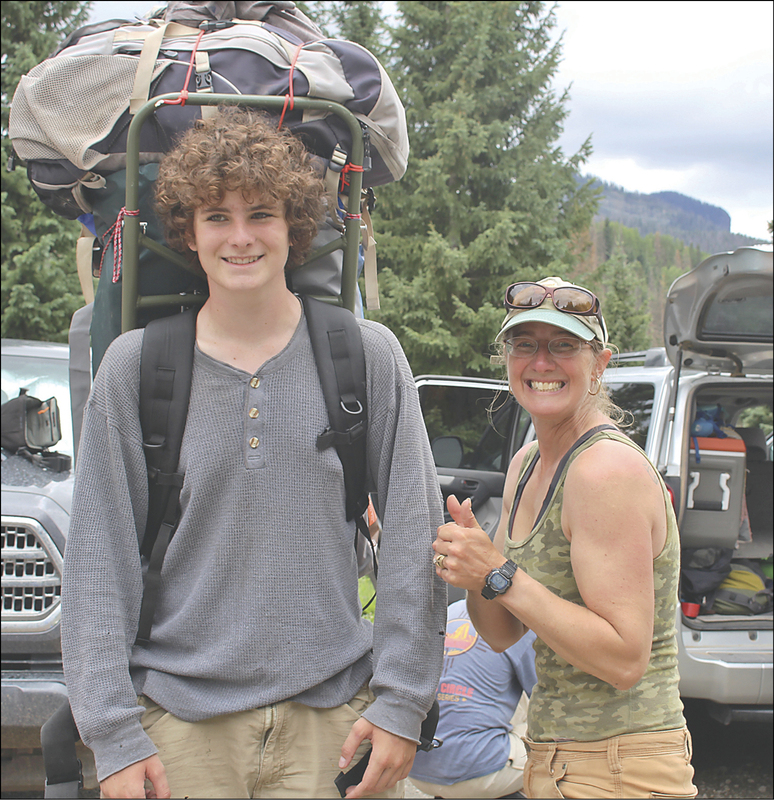 On the final day of Trek I, the high school students backpacking in Colorado’s wilderness met a trail maintenance crew and helped the workers haul out a lot of equipment. Henry Kimble of Hinton is shown at trail’s end with a grateful crew member. 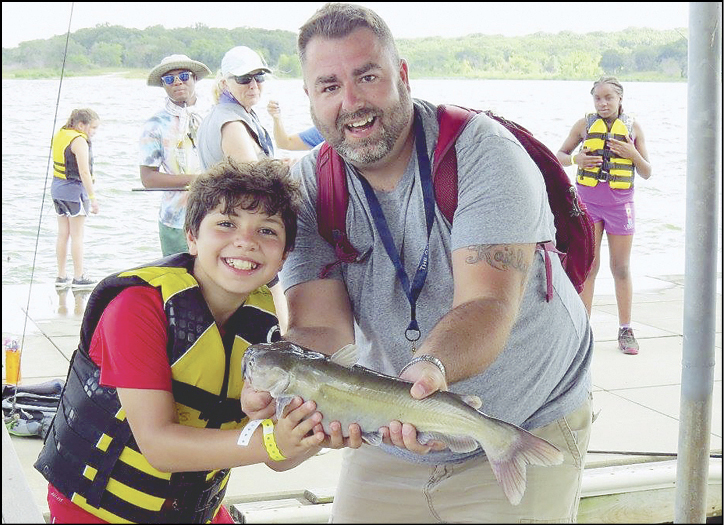 At Cross Point, volunteer Tony Altizer and a youngster celebrate a good fishing day on Lake Texoma during New Day Camp for children of incarcerated parents, a program coordinated by Criminal Justice & Mercy Ministries.